I’m learning more and more that maybe, just maybe,I can survive with a little less excess stuff. Less multiples of things. It all started with a move to Denver; 2 years later, a move to Southlake, TX; then 6 months later a move to Farmers Branch, TX. 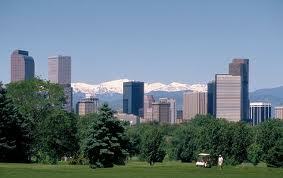 Ahhh, Denver. Purple Mountains and what not, weather that is consistent – when it’s cold, it’s cold and when it’s warm it’s warm. Sure, the cold can freeze your snot on a 5 second walk or even stay cold through April, but in the summer, outdoor activities can include but are not limited to sitting in the shade in August. That’s right, my Texas friends, you can actually go outside in the summer and sit in the shade for hours without sweating profusely. Not only that, but you can survive without central AC. Weird, right? Who knew such weather even existed, but I digress. Denver was the beginning of a realization that we own a lot of stuff. Not totally useless stuff, but just an excess, multiples, two of everything, sometimes three and four. We had an entire, almost 1 car garage full of books, book cases, dishes, platters, decorations, baby stuff, tools, shelving and other things. When we first packed up to move to Denver, after the umpteenth box I packed, I realized how easy it is to accumulate stuff when you stay in one place for several years. What was even more amazing was how much you hang on to that you don’t really use. Even as I was packing, I thought “sure I haven’t used that in over a year, but what if I need this in Denver? What if I decide to rent out my 4 sewing machines?” I do this with clothing, too. I saved some shorts and pants from previous “skinny” days and when I lost weight 4 years later, I realized I would never wear those high wasted pants or shorts, even though they’re back in style – they don’t seem quite right. Why did I save them, pack them and pack them again, and move them across state lines, twice? But alas, as much as I miss the weather and a couple of other things, a sense of community was sorely lacking, so we came back to Texas. First to Southlake, then to Farmers Branch. 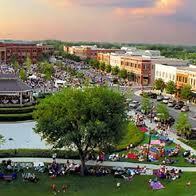 It’s no Denver, but Southlake has other charms. Like for instance, some of our favorite people call this place home or live close by :). But just for good measure, because I missed the Denver weather, the first year back in Texas, it snowed for Christmas in Southlake. Real, snow. Big fluffy flakes, an enormous amount of snow that weighed tree branches down. The kind of snow that makes everything beautiful and makes it feel like Christmas. It was great. It seemed like we brought quite a bit of stuff with us to Southlake: clothes, beds, tvs, a sofa and kitchen table and chairs. All in all we didn’t bring that much. Well, that much in comparison to what we owned. The rest of our stuff was neatly packed away from floor to ceiling in a storage pod, somewhere between Denver and Dallas. I have to say the only thing I missed out of that pod were my kitchen knives. Are you kidding? That’s right, I didn’t miss the Wii, the books, the two sets of complete dishes (except when we had people over and realized we only had 4 dishes and 4 set of silverware), multitudes of glassware – as though we were running a bar after hours, china, crystal, trinkets and such. Wow. Remind me why we had so much stuff and isn’t a huge pain to move twice across state lines, to unpack, pack again? Was I really willing to do this all over again if we ever moved? 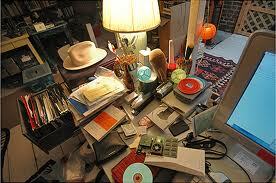 All this stuff was such a burden and made it harder to clean. When we moved back into the Farmers Branch house, we had a huge garage sale. I couldn’t bear the thought of hanging on to the excess. Again, not useless things, except for the tchotchkes – those are pretty useless, but most of the excess we didn’t really need. I felt a little less cluttered after that, but I lost some steam during the process. Maybe it was the insane heat that slowed me down or the fact that I had to get my act together in two weeks to get all the stuff ready for the garage sale. Either way, we still have quite a bit of stuff. Old habits die hard. I find myself rationalizing the need for stuff. Over the holidays, I envied those with cute holiday towels and decorations. I mentally verbalized, “I could totally pick some of these up at TJ Maxx or Marshalls. Ooooh, if I wait until after the holidays, it will be even cheaper (because being cheap is justification for spending, right?). ” Wait, did I not just get rid of excess? Do I really want to replace and fill the empty space just because I think it’s needed? Shudder. Not to mention if I spend money on decorations, that means less money to spend on my iPad that I’ve been saving up for. Wait, did I say that out loud? Oops. Did I mention, I tend to turn a blind eye toward technology. I don’t usually count it in the realm of excess so long as I consistently use the item and I don’t own more than one. Alas, no one is perfect. Maybe I should get rid of one of my cameras – I do have two of those. This entry was posted in Learning to love what you need. Bookmark the permalink.